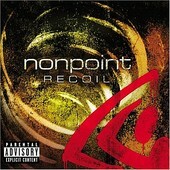 Nonpoint is a band that has weathered the nu-metal tag and comes out stronger than ever on its latest release, the 13-track Recoil. From the powerful percussive punch that lunges at your ears on "The Same", this quartet aims to grab your attention from the get go. Taking curious twists and turns this time around, the Floridian foursome flesh out its roots with "Rabia" the seething tune sung completely in Spanish, as well as an updated version of the Phil Collins classic "In The Air Tonight", but still have the innate ability to churn out emotive rockers like the politically charged "The Truth" and the dynamic "Move Now" and slower, more pensive tunes like "Past It All" with the same fervor. Nonpoint has already survived the sophomore jinx, and by the sounds of Recoil, show no signs of slowing down.